We are a pepperoni loving family. 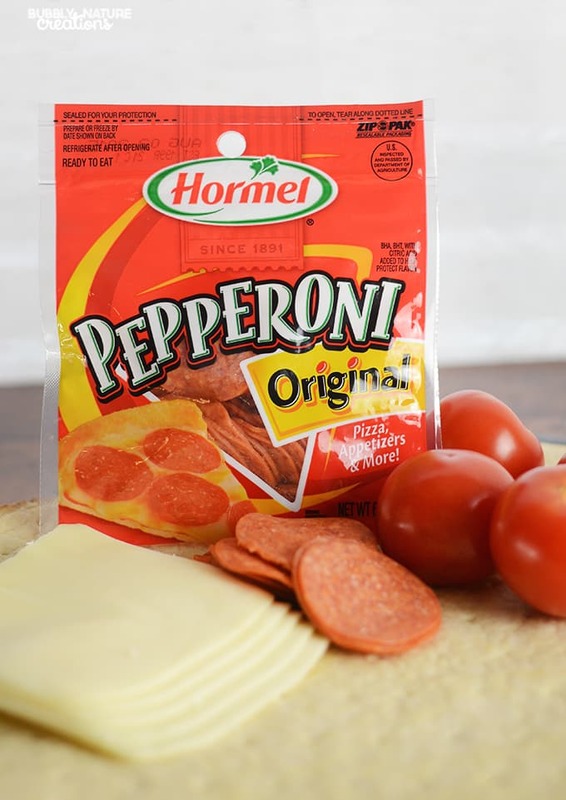 Not a week goes by that I don’t buy at least one package of Hormel Pepperoni for us to snack on and make easy pizzas with. 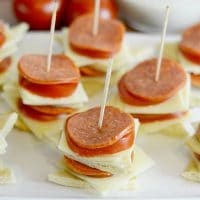 I like to change things up a little every once in a while and I decided to deconstruct a pepperoni pizza for this recipe. 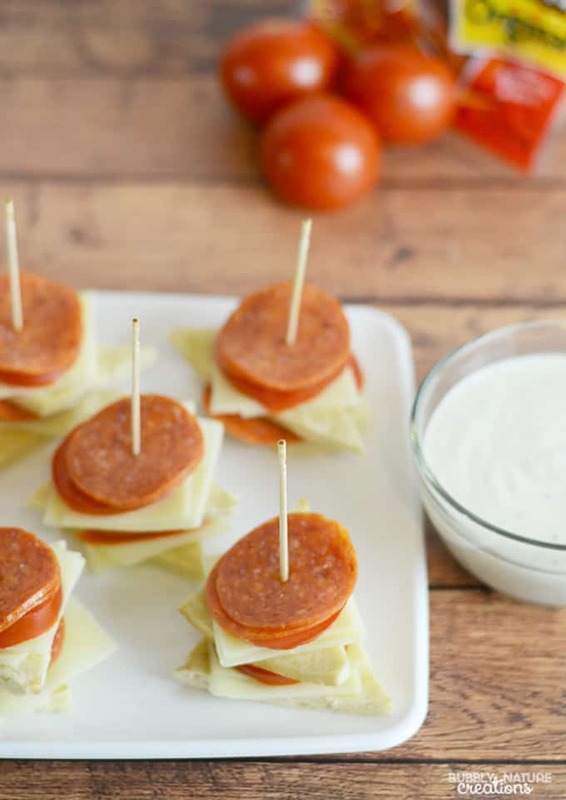 These Pepperoni Pizza Bites make the the perfect party appetizer or weekday snack! 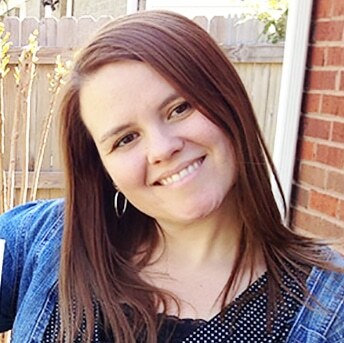 I started out with basic pizza ingredients like Hormel Pepperoni, Mozzarella Cheese slices, tomatoes (in lieu of sauce) and a pizza crust. Bake the pizza triangles first in a oven preheated to 425 degrees F for 5 to 8 minutes. Let them cool and add 2 pieces of cheese on top of one triangle. Then add one tomato slice and on top of that add 2 slices of Hormel Pepperoni. Repeat pattern once and then add a toothpick inserted into the whole stack to secure. Serving suggestion: serve alongside ranch sauce or pizza sauce for dipping. These turned out amazing! 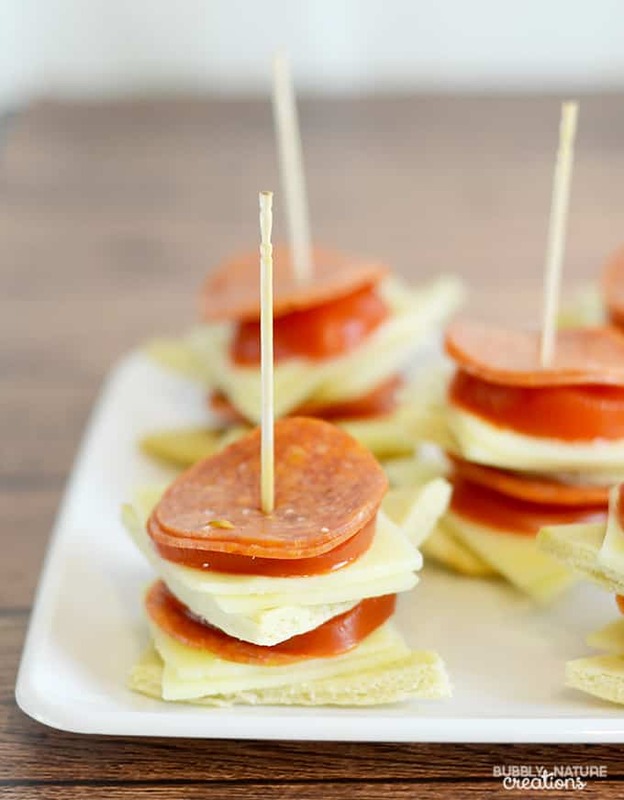 I love that they are easy to make for a party and everyone can have their own little serving size. The kids had fun making their own stacks too. Just be careful with the toothpick if you let your kids make their own and eat them. My kids are already asking if we can make these again for a snack soon. 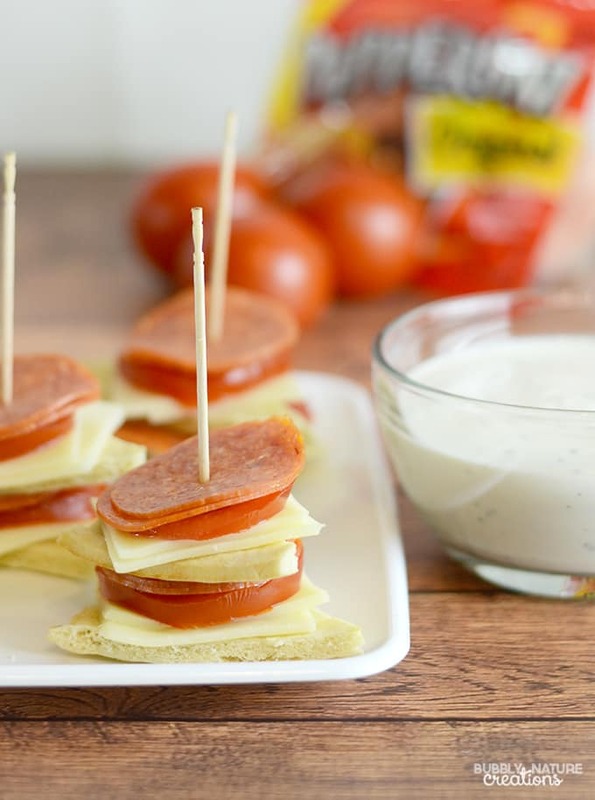 Hormel Pepperoni is always a winner in our household! Watch this fun video we put together! 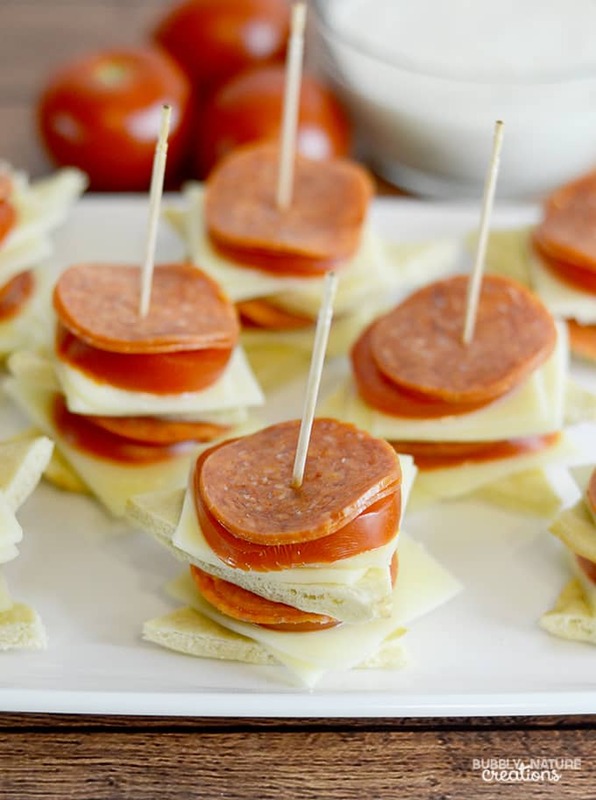 What is your favorite appetizer to make using Hormel Pepperoni? Let me know in the comments! Do you think they could be re-baked again after assembling them? I haven’t tried them that way, but I assume they would be yummy that way.